Are you looking for qualitative marketing data to market your products, solutions or services in Georgia? 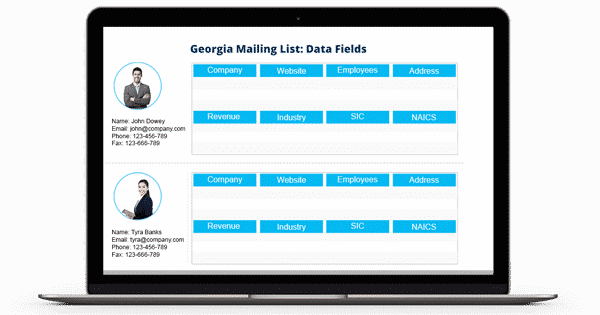 Blue Mail Media’s Georgia Business Executives Email Database can be an important enabler. Our database meets high standards of quality when it comes to accuracy and reliability of data and gives marketers greater networking and business opportunities. With a promise to increase your campaign response rate, conversion rate and ROI, our list gives you access to complete marketing information to reach your existing and prospective clients via telephone, email or mail. Blue Mail Media has been a known name among American marketers as a reliable database vendor. Our Georgia Business Database covers records of numerous businesses, industries, C-Level Executives and professionals across Georgia. Whatever your requirement is, we have developed capabilities to meet them with high degree of professionalism. You may opt for a pre-packaged Georgia Business Mailing List or get a customized list built on your marketing campaign specific preferences. Blue Mail Media has established a strong data partners’ network across many countries which enables us to serve clients without any geographical barriers. Irrespective of the region or industry you operate in, we can help you with qualitative database of Georgia Business Executives.